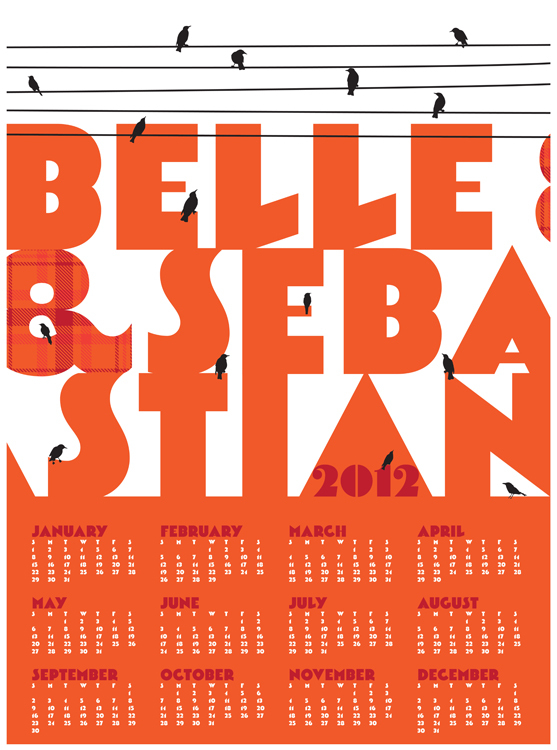 Belle & Sebastian 2012 Wall Calendar Poster. We are pinching ourselves with happy to announce another collaboration with our favorites, Belle & Sebastian on their 2012 Wall Calendar, in an A2 poster format. (That’s just about 18×24 for us Yanks.) Easy to frame and cheering you on all year long. Designed by us, strawberryluna, and beautifully litho printed in good ol’ Glasgow, UK. This 2012 litho Wall Calendar is available exclusively via Belle & Sebastian’s web store here.